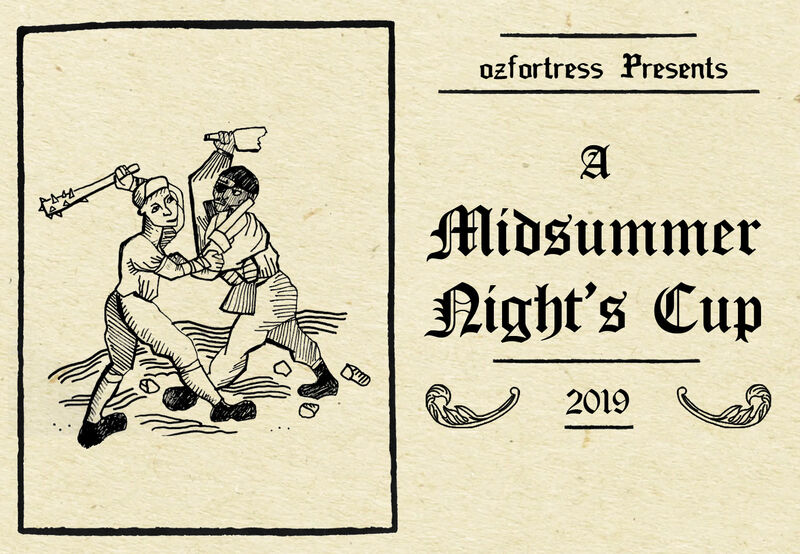 After a fantastic OZF 23, we are happy to announce the event of this holiday season - ozfortress Presents: A Midsummer Night's Cup 2019, where teams will compete over two separate one-night cups in multiple brackets. Midsummer Night's Cup 1 will be held on the 16th of December and Midsummer Night's Cup 2 will follow in mid-January. The cups are designed to be a casual, laid-back event for over the summer, especially after three seasons of the flagship league run back to back. Focusing on a relaxed experience, there will be three brackets - Premier, Intermediate and Open. Premier and Intermediate will have 8 teams while Open will have 16, signups permitting. All brackets will be a single elimination bracket, over a single night. For the first cup, we welcome the return of some maps we have seen on ozfortress servers in the past, most notably cp_metalworks and cp_reckoner. We are also seeing the return of koth_bagel, a map that has featured in A Midsummer Night's Cup in the past. Making their ozfortress debuts will be koth_waterton and koth_synthetic! These two King of the Hill maps are very promising and we're excited to see how they play! Since there are multiple brackets, all administrators will be separated into respective brackets much like the seasonal league. League administrators and their respective brackets will be announced when signups have ended. If you are using an existing team, you do not have to recreate your team again! Simply sign up your A Midsummer Night's Cup 2019 roster using your existing team! The ruleset for the Midsummer Night's Cups differ slightly from the ruleset used in the regular seasonal leagues. Be sure to have a read of the changes to make sure you are up to date. These have been outlined in the following posts and also in the FAQ.